The Three Blind Mice area overlooks Okanagan Lake to the west. This area is mainly composed of beautiful ponderosa pine rock bluffs and grasslands. 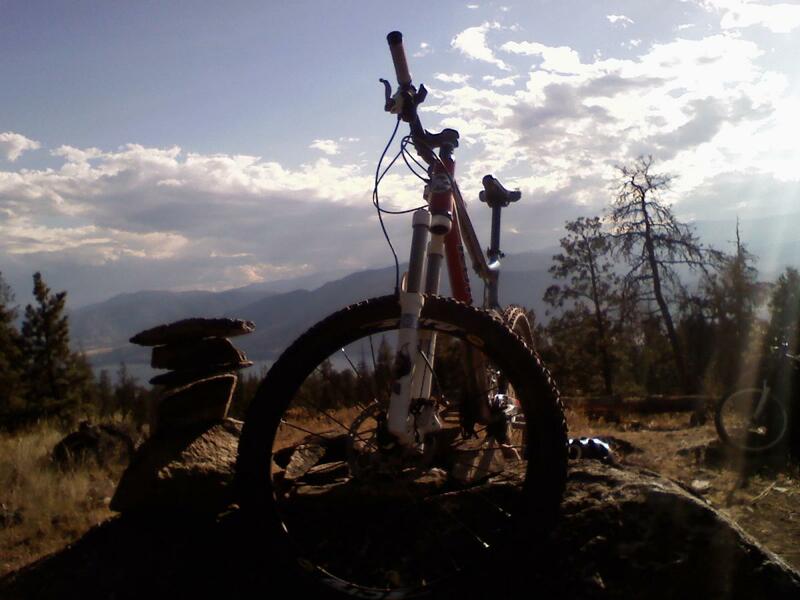 These trails offer downhill runs that flow through the forest and beautiful views of the orchards and vineyards that border the Okanagan Lake. Here are three popular routes that can be taken on this vast variety of trails suitable for all levels of ability. From the upper entrance start by traveling down the Rusty Muffler Trail, turn left onto Mule Deer and continue through to Black Bear loop crossing Riddle Road. From Riddle Rd travel down Fred to Three Witches which will take to the "end of the line". Pass the fence and head south on the Yellow Brick Road Trail. Continue on White Tail back to Riddle Road. This will finish off the "Z" pattern. This 10km route is accomplished by starting at the top of the Reservoir Route Trail, continuing down the Reservoir Route Trail, then up Riddle Road. This will be a quick descent back to Naramata Road with an elevation drop of 600m. At the lower entrance, start by traveling down the White Tail Trail. Keep left on the first two junctions, and right at the third junction the the Yellow Brick Road Trail. This trail will take you to a fence known as the "end of the line". Keep right and travel down the Three Witches Trail back to the White Tail trail. Review: Many options, excellent trails and incredible scenery. Watch out for bears, go on a wine tour on your rest day. Review: Lots of work done recently, trails well marked and easier to find. Some new features and runs. Overall a very enjoyable ride! 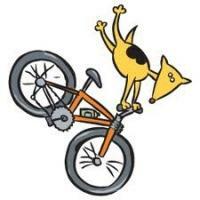 Three Blind Mice Trail Network MTB Trail 4.50 out of 5 based on 2 ratings. 2 user reviews.